Many have touted gold as the safe place to invest as prices skyrocketed over the past several months. But gold as a haven is falling to cash as reported in today’s FT: Gold slides as investors scramble for cash. Although gold may recover to its record levels, that is by no means assured. Individuals and institutions need to be cautious of any spokesperson or organization that provides a single recommendation under uncertain circumstances. These single option approaches are usually designed to leverage investor uncertainty to the advantage of the organization or individual. Under the best of circumstances they reflect a naiveté about the complexity of the situation into which they are selling their solution. 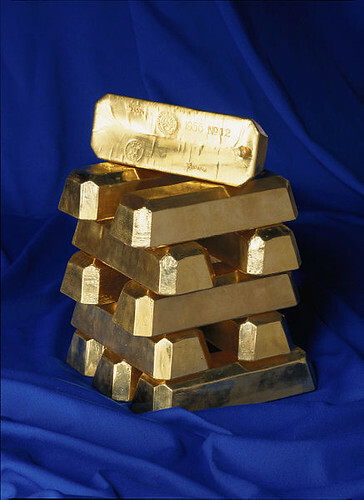 In the case of gold, if all of the data focused on the increase in price, and did not includes scenarios about changes to consumer and institutional safety perceptions, new shifts in the economy including a strong recovery or new, more attractive investment options, to provide just a few examples, then the consumer should be very skeptical about the validity of claims or the credibility of the seller. If you are determined to invest in a narrow way, then you should consider scenarios yourself prior to engaging the seller of the commodity or investment vehicle. If they can’t answer your questions, let alone providing deep alternative analysis themselves, then you should probably look to more reliable sources of investment advice, and more credible sources of investment instruments. Image from flickr user hto2008 used under creative commons license.